DUNKIRK, NY –Chautauqua County Executive George Borrello and Mark Geise, Deputy County Executive for Economic Development/CEO of the County of Chautauqua Industrial Development Agency (CCIDA) announce that the Chautauqua Region Economic Development Corporation received funding approval on a plan for a new study that will investigate the feasibility of constructing a fully integrated grain processing facility in Chautauqua County. The plan and request for funding was reviewed and approved by the Chautauqua County Legislature at its meeting on March 27. The Grow Chautauqua feasibility study is intended to comprehensively assess and analyze the region’s overall market, technical capabilities, financial support, and concept plan to determine the viability of siting a hops and barley processing plant in Chautauqua County. Planning for the effort began nearly one year ago through collaboration between the CCIDA and Grow Chautauqua developer Chris LaCorata, formerly of Fredonia and now based in South Carolina. 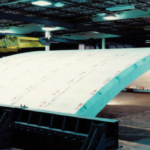 LaCorata brings 35+ years of experience and expertise in the manufacturing and processing world to the project. A workgroup comprised of state, regional, and local stakeholders from relevant industries has also been engaged to work with Chris and advance the initiative. According to 2013 legislation set forth by Governor Andrew Cuomo, by 2024, no less than 90% of the hops and all other brewing ingredients must be grown New York State to obtain NYS Farm Brewery license. Chautauqua County could be positioned as the future east coast anchoring operations for brewery ingredients, and an e-commerce capable integrated supply chain for hops and barley derived products. In turn, the facility could provide an economic boost through the creation of new jobs and support of the local agriculture industry, including the potential to establish a co-operative operated by local farmers. The study for the first-of-its-kind project is estimated to cost $120,000. LaCorata has committed to covering $65,000 of the fee. To account for the remaining $55,000, the county, CCIDA, and several county community foundations including the Chautauqua Region Community Foundation, Northern Chautauqua Community Foundation, and Gebbie Foundation have pledged overwhelming financial support for the project. The Grow Chautauqua feasibility study will be launched in 2019, with a market study conducted over a six-week period, and the full project expected to conclude by the 12-week mark. The CCIDA is an economic development organization authorized and empowered by the State of New York to make Chautauqua County a better place to work, live, visit, and conduct business. The organization facilitates development by attracting new businesses, while promoting the retention and expansion of existing businesses. Assistance in the form of incentives – tax abatements, low interest loans, and bond financing – enhances the opportunities for job creation and retention for our businesses. For more information visit www.ccida.com.